I am settling into our new house very well. 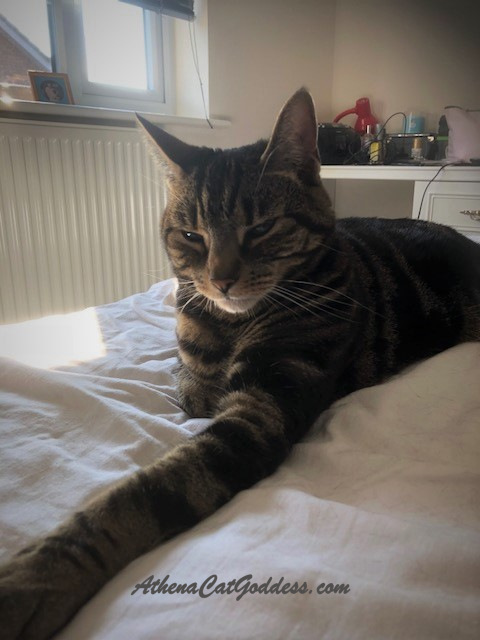 It was a nightmare getting here and the first few days were terrifying and I hid in our new bedroom behind boxes but now I've started to relax and go wandering around the house. I like it. It has a nice vibe. Haven't spotted any cats yet. Our garden is small and neat. Mum says we shall get a catio installed soon but she's waiting for us all to settle first (and save some money). 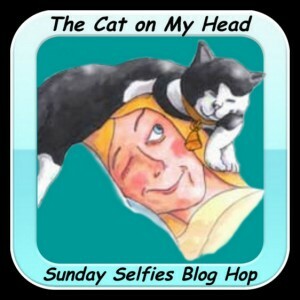 Here are 3 selfies for The Cat on my Head's Sunday Selfies Blog Hop. I'm glad you're starting to get settled and relax in the new house. Happy Sunday! We're glad you're settling in, Athena. We may be moving this year and it's a little scary! Concats again on your new home, Athena & Marie! Aww, they are so good, and after all the stresses of the move, you have done so well! We will raise a glass to you all tonight and celebrate your new home, and wish you well. Now to make thee place yur own!!! Well dun Lady Marie! Well come home. Goddess, it won't be long until your new home will feel like your beautiful temple and place where you'll be worshipped just like you were at your former home. Kisses! 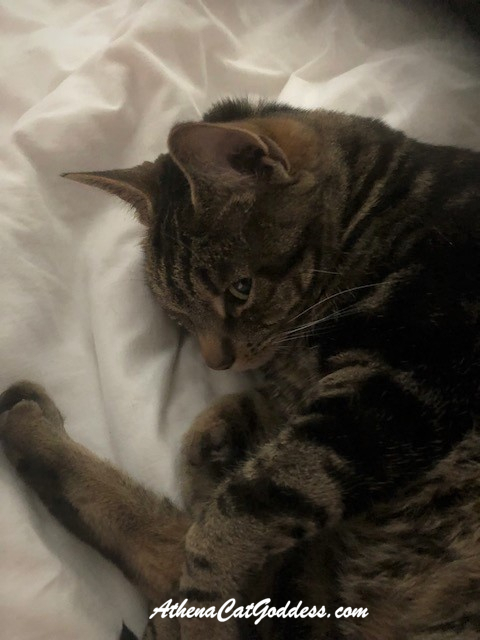 I'm so glad the stressful part is over, and you are beginning to really enjoy your new home, Athena! I am glad you are settling in well, Athena. Your selfies are lovely. You look very calm and happy ! Purrs. Your new digs look very warm and comfy. 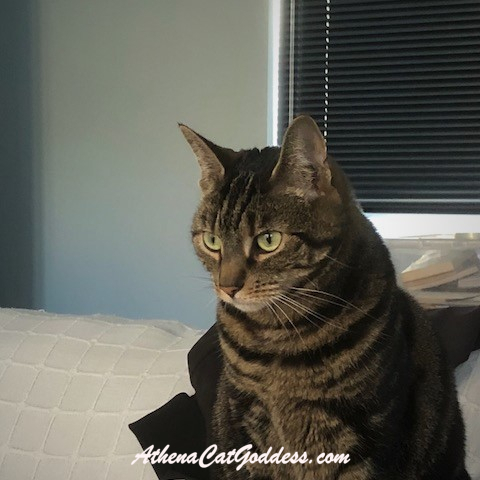 You look lovely, Athena. We’re glad you’re liking your new house. Glad you're enjoyin da new place! Congrats on your new home we are so glad you like it and are settling in well.